Destiny 2 starts the ‘housekeeping’ phase for clan migration. 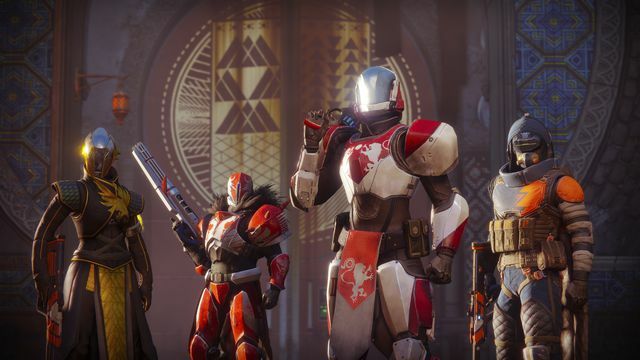 Destiny 2 is betting on its community to push the game’s multiplayer over the top. That process starts now with a so-called “housekeeping period” that allows clan leaders to migrate their groups to the new game. Last week’s news post over at Bungie’s official blog is focused on the community’s transition from Destiny to Destiny 2. Clan leaders can now stop by their base of operations on Bungie.net and decide if they’d like to flip the switch and move their clan over to Destiny 2. Clans will play a big role in Destiny 2’s new Guided Games feature. With it, players will be able to shop among different clans looking to fill out their party and drop into high-level game content like Raids. Only around 50 percent of Destiny owners ever attempted end-game content. Clans will be the big driver in getting more players to try it in Destiny 2. Once migrated, Clans will “retain their basic structure” Bungie said. Membership will be capped at 100 members, and players will only be able to join one clan on each platform. More changes are coming soon, Bungie added. Destiny 2 is expected to release this September on PlayStation 4 and Xbox One and the console beta starts this month. PC release is scheduled for October, with the beta coming in August.